The F3 Frame Tent is the newest addition to our tent family. With its state of the art elegant design the F3 is much stronger and with its simplistic design allows you to get the best bang for your buck. The F3 is great for any smaller affair or backyard bonanza. The tent is 8' high at Eave. The tent is 12'-8" high at Ridge. Seats 100 to 160 guests. 8' walls not included with tent pricing. 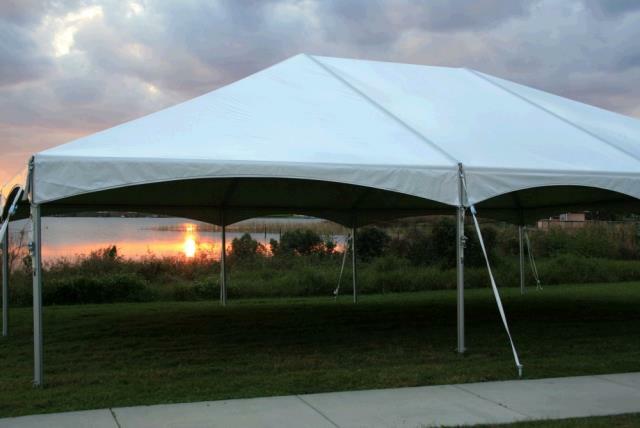 * Please call us for any questions on our f3 20 foot x80 foot hip end tent rentals in New Britain PA, serving the Greater Philadelphia area.